“Your Faery Magic” OUT NOW!!! 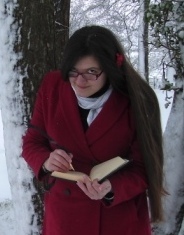 Book Launch for “Your Faery Magic” on 12th December! 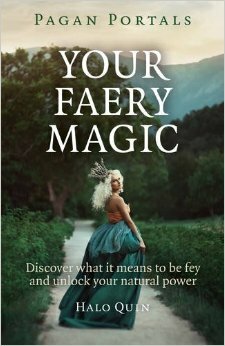 “Your Faery Magic” NEW BOOK! Available for pre-order via Amazon, to be published through Moon Books. The Feyhearted Oracle – A Deck of Fae Magic. Artworks hang in the branches glowing and pulsing with light. Every few beats a laughing lady dives from the canvas and you realise these are portable gateways to, and from, Faeryland. The realm of magic is nearby, kissing the land you know. The voice continues: Are you lost in the world of Ninetofive and Mundanity? Tired of being numb? Missing your creative spirit? Through magic, ritual and play we return the magic to our hearts and by doing so we fill with so much joy that it overflows and floods the world with wonder. Let me be your guide on this path… the path of the Faery Heart. Come. Here is the library. Books hold whole worlds, whole magics! The librarian will read your librarycards for you if you like? If you want to feel your way into the true realm of Faery, behind the sparklefluff and into the deep magic within the play, my upcoming book “Your Faery Magic” is for you. If you want to dive straight into concrete enchantments through musings and play, on the top shelf lives Pixie Kisses – right there, covered in pixie dust and happy thoughts. Try it out in PDF for free! And if you want your very own magical Artwork, Halo’s Etsy is the best marketstall at the festival! The Feyhearted Path is a big enchantment that I’m playing with, it has manifested as a series of blog posts (originally living here), books, an Oracle deck and various pieces of art and other creations. As an introduction I’ve collected together a couple of pieces of art, a trance and the Feyhearted Manifesto for you to peruse. The posts can be found on my personal blog here. As you wander deeper into the forest you see an entire village of festival tents and market stalls, a little further on appears to be an academy with open air lectures for the festival inhabitants to wander in and out of. Beautifully dressed goblins ply their wares, the pilot appears with a staff of silver, peacock feathers and stars and waves you onward… into another part of the adventure. If magic appeals, if faeries light up your soul, if you long for enchantment, this is the route for you! What would you love to say to the Enchantress?